Now Just with 28$ – Discount only Available for the limited time. 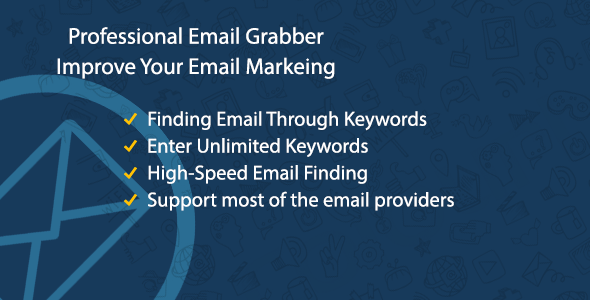 Email marketing is one of the Marketing methods in the network, but an essential issue in this method is finding related emails, and without appropriate emails, email marketing is a real flop! Additionally, It can decrease your site authority and makes other SEO problems. 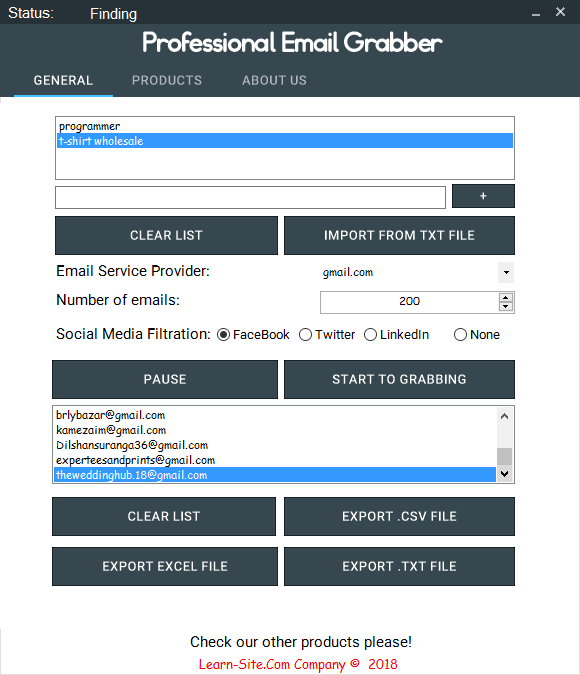 Wait for it!, This software will help you to find the related emails through your keywords! You’ll enter the keywords into the software then you drink a coffee, And finally you can export the best relevant emails that software found. This software will help you with the increasing of your email marketing efficiency. 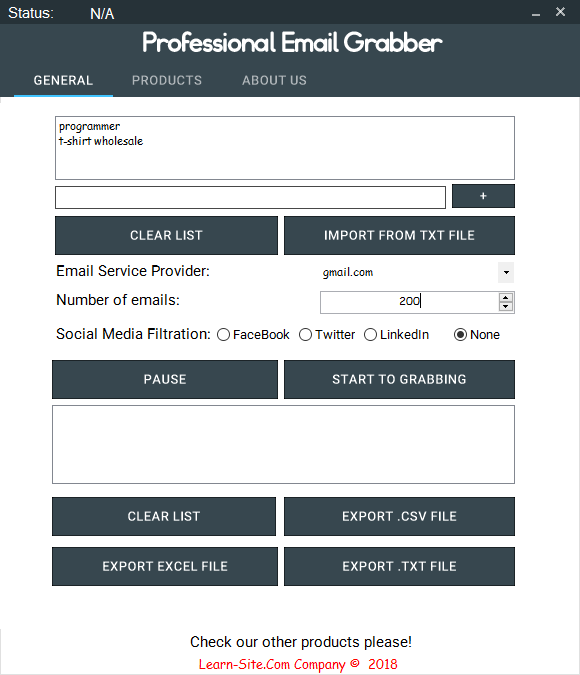 This software uses the Google search engine for finding emails through the keywords from sites, Also you can filter the social media that you want to find from. Notice: This software run with your license code just on one system. For running this software on more than one system, you must buy again and get a new license key. - Version 1.2 .1 ( 2019/01/04 ) License checking system problem solved - Version 1.2 .0 ( 2018/11/23 ) New: Social Media Filtration ( Twitter, FaceBook, LinkedIn ) Bug fixes - Version 1.1.0 ( 2018/11/09 ) New: Excel Export Feature Improvement: Increase email finding up to 10000 emails per keyword. 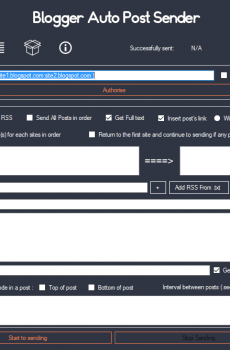 Improvement: Increase email finding up to 10000 emails per keyword. The software works correctly, and I am thankful for your services. I sent you some suggestion in the support ticket for making software better. if you add the features that I sent you, the software will be more awesome surely. Hey, I want to buy the software, But Does software support all of the languages? or just the software supports the english for searching in the internet? 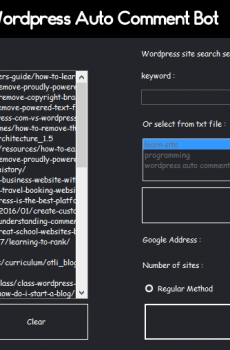 in the other words Can I enter the keywords in other languages? Hello, The software supports all of the languages, no worries about this issue.